Weaving Wednesday – or Not. | Tweak your week! »Daily Living»Weaving Wednesday – or Not. Weaving Wednesday – or Not. That’s the title I’ve chosen for Wednesdays. The trouble, the tweaking that comes with each week, means that some things change. My calendar is in flux as I work through my regular daily tasks and as I work towards my life goals. Good heavens how the head hurts when I think about all that I’d like to get done today (or any day). Perhaps it’s the heaviness of the atmosphere that makes my head feel like it wants to flop off. To the task at hand – weaving. I’ve wanted to warp my loom this summer and yet it sits in the pretty canvas bag. I’ve dreamed about the items I would create but the zipper remains shut tight. Today is not the day to tackle the loom. 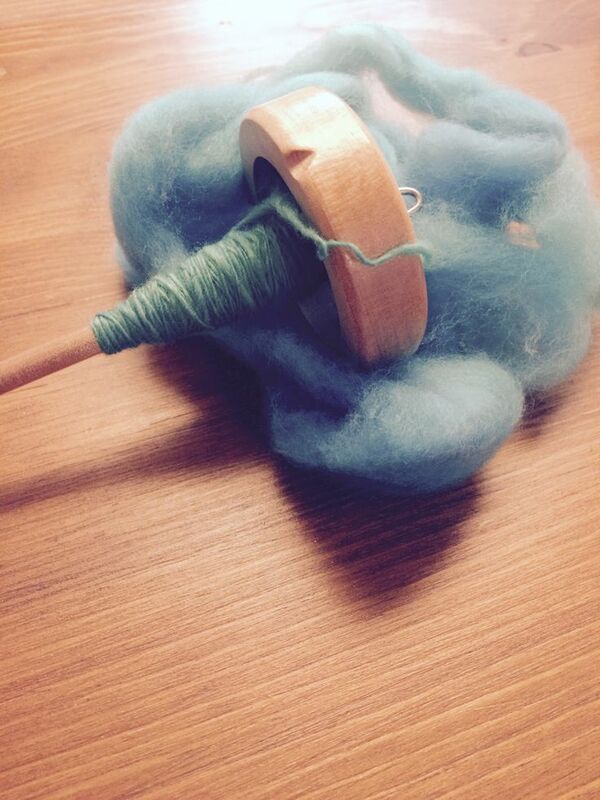 Spinning perhaps seems easier even more of a meditation tool..
That’s what happens when you tweak your week. You make plans. You change when you need to. In all the plans there needs to be room for change; room for what feeds your soul and purpose. My purpose is not to follow the “law” of my calendar but to respect the “law” that is my spirit. How is your day progressing? I would love to hear how you “tweak your week”.